Some people have what my Dad would call 'cast iron guts'! They can eat or drink anything they want, and have no nasty side effects. I am not one of those people. I am on the extreme end of the spectrum however; I have a severe gluten allergy that was undiagnosed until my early 30's (like a lot of the people in the health and wellness field I became frustrated when conventional medicine could not help me, and started to do my own research, but thats a story for another day), I'm intolerant to dairy (gluten and dairy sensitivities often go hand in hand), and I caught Typhoid whilst working at a fitness resort in Mexico in my late twenties. Because of this I am very strict with my diet and avoid gluten, dairy and eggs like the plague. Even so, being out of routine, increased calorie intake and more alcohol and sugar than usual (my mother in law bakes amazing GF and DF treats for me) can result in 'stomach upset' (my polite English terminology), which in my case means bloating, gas, constipation and generally feeling miserable. Probiotics are in common use now, and most people understand the benefits of incorporating them into their diets either in the foods they eat or as a supplement. I like to go two-fold on this when I know my digestive system is going to work a little harder than usual: I up my intake of probiotic rich fermented foods (goats milk kefir and sauerkraut are my favorites, you can buy both from Whole Foods), and every evening I take a good quality probiotic supplement from the Poliquin Group. What is not as well know is that Probiotics need to feed on Prebiotic fiber to be active in the gut. I like to ensure my prebiotic fiber comes from my diet, great sources are fibrous veggies such as artichokes, leeks, dandelion greens and chicory. These are best eaten raw, but you can still get some of the benefits by lightly steaming them. Bananas (the greener the better) are also a great source of prebiotics. I've also started to bring a bag of " target="_blank">Tiger Nuts with me when I travel - these little guys are not nuts, but tiny little tubers that are an amazing source of prebiotic fiber. You can also cook with Tiger Nut flour, and watch out for some Tiger Nut recipes on the blog in 2016! Such a simple thing, but I find it makes a huge difference in my digestion and ahem, motility. I've learnt the hard way that I need to move my body everyday for all aspects of my health, and my favorite way to do this on holidays is to go for a walk, and practice some basic yoga poses that aid digestion. 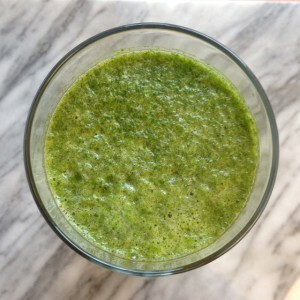 1 cup fresh or frozen pineapple chunks 1 cup water or coconut water (or 1/2 and 1/2) 1/4 cup fresh parsley 1 teaspoon freshly grated ginger 1 cup leafy green veggies such as kale, chard, spinach or dandelion greens Big squeeze lemon juice Blend together until smooth and enjoy! I hope these suggestions help you as much as they help me. If you have any questions about this post please comment below, and if you have any 'stomach savers' you would like to share I'd love to hear them. Quick and Easy Tips for a Healthy Road Trip! I'm really bad at sitting still for any amount of time (read longer than 5 minutes), so long car journeys are definitely a challenge for me. Before we hit the road I aim to get up just a little earlier so I can do a short at home yoga practice. I love the free content from Yoga Journal, and can complete my practice is around 30-45 minutes which is perfect. Taking a walk, going for a swim, having a dance party in your kitchen to Mariah (just me? ), anything that gets the body moving and the blood pumping is a great antidote to sitting still for hours on end, and will stop you feeling stiff and achy on the journey. On the subject of gas station food, don't do it! Husband Hanway and I always take snacks on our road trips, and it makes for a much more pleasant journey! Protein shakes, jerky, nuts, fruit (see Healthy Holiday Travel for more ideas) are always on our list, and if its a longer journey consider packing a cooler with some homemade meals too. And then there is gas station coffee. Bitter, tasteless, and served in chemical polystyrene cups. Don't do it. Brew your own at home and take in a thermos. Delicious, better for you and will save you money too. Be sure to stay hydrated during the journey, there is nothing worse than arriving tired and cranky at a holiday party, and dehydration can be a big cause of this. Ensure you drink plenty of water during your journey, and your skin will thank you too. I'm a huge fan of podcasts and long car journeys can be a great time to catch up on my 'must listen' list. Audible is a great option too, so make sure you have downloaded some great content before you leave. Because there is only so many times you can play 'The Preacher's Cat', right? Being able to access emails, the internet and social media 24/7 wherever we go is both a blessing and a curse, and I've been guilty myself on being 30 minutes into a road trip and connecting more with Instagram than my husband. Car journeys are a great opportunity to connect with your other passengers and shoot the breeze, just keep it light and fun and in the holiday spirit. Because even for me the holidays are about fun and celebration. Husband Hanway and I usually spend Christmas in the company of our family which we love, but last year we instituted a new tradition of going to our favorite bar and ordering champagne and chicken wings (a combo you HAVE to try) before we descend on the family. This is wonderful in many ways (umm, hello champagne and chicken wings) as for us it signals the start of the holidays and give us time to connect with each other before the craziness begins! Whatever your plans for the holidays I hope they are happy, healthy, and above all, fun! Stay tuned in January for a heap of new recipes, meal plan ideas, workouts, product reviews and amazing giveaways! to make 2016 your best year yet! Dear Jenny, I am traveling over the holidays and know that eating healthy in airports and hotels can be a struggle. Could you make some suggestions on how to stay on plan while away from home? Hi Whitney and thank you so much for reaching out! I'm sure a lot of readers are facing the same challenge this week, so thank you for your question. So, airport food is not as bad as it used to be. 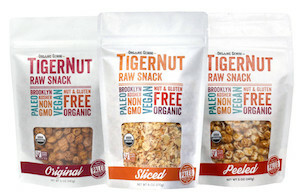 However, that really depends on which airport and where you are flying in and out from, for example, Boston's Logan domestic departures has some great healthy options, including Epic Bars, (also available from Whole Foods) which I consider to be a 'real protein' bar, and are definitely one of my travel go-tos. Most airports also have nuts, go for plain, unsalted and raw to avoid the inflammatory oils used in the roasting process, and the salt will also mean you will hold extra water whilst flying. Also you should be able to find at least apples and bananas at the airport for the vitamins and minerals. Grab a green juice and a coconut water, as well as a couple of liters of water to keep you well hydrated in the air, and feeling great when you land. Another great real protein snack that I like and that is super portable is Krave Artisanal Jerky (also available from Whole Foods). Unlike other jerkys that can contain gluten, artificial flavorings and nitrates, Krave uses domestic meats and all natural ingredients. My favorite is the Turkey, Chardonnay and Thyme, but all of the flavors are pretty delicious! My third portable protein option is a great protein shake. I don't recommend whey or soy proteins, so the best option is a vegetarian protein such as rice or hemp. My two recommendations are Primal Clear 3.0 and Proveg, both available from the Poliquin Group. Throw in a scoop of their Espresso Wellness Greens powder too, adding the benefits of over twenty servings of fruit and vegetables. Make shakes easily on the go and in the hotel room by taking a blender bottle with you too. Another travel must have for me is a bag of gluten free oats. Most hotel rooms have some kind of device for boiling water, so you can make hot oatmeal by filling the hotel room coffee cup with a scoop of oats, and covering in hot water for five minutes, or until the water has absorbed. I love adding the aforementioned Espresso Wellness Greens to this too for a delicious chocolate flavor. If swinging by a supermarket on the way to the hotel is an option stock up on apples, bananas, any whole, uncut seasonal fruits and pre cut veggies (such as carrots, cucumber, bell peppers), etc, that you can keep in the hotel room refrigerator. Lastly, my four other travel essentials are non food related, but I don't travel anywhere without them! Numi Teas: try the Tumeric or Mint teas if you have overindulged, and as a better option than the super acidic hotel room coffee. Bucky Eye Mask: the best eye mask I've ever tried. Hotel rooms can be full of LED lights which can disturb sleep, so an eye mask is good insurance for a restful night. Woodlot Candle: Woodlot offer a selection pack of candles, the small size is perfect for slipping into hand luggage, and help you feel at home in a strange place. For rest and relaxation chose the Rekindle scent. Wind Down:perfect for stressful travel, being away from home, and family gatherings, this chocolate flavored chewable from the Poliquin Group can be taken when you are feeling harassed or overwhelmed, and has an instant calming effect. I hope this helps Whitney!